WATER COOLING WITH ULTIMATE CONTROLEverything in the all-new Kraken Series has been redesigned including the pump, radiator and the fans to bring you the greatest experience in liquid cooling. The pump is connected with a premium rubber tubing covered in a nylon sleeve for added protection. The Fans of the X72 can provide high perfomance cooling thanks to the winglet-designed blades and chamfered intake. With full RGB lighting for the pump you can customize pre-sets and reactive modes to respond to multiple changes. The Kraken series also features advanced controls with its CAM software allowing you to fine tune your settings for even better performance. This is all backed by an industry-leading 6-year warranty. QUIETER AND SUPERIOR EFFICENCY The enhanced pump design of the new Kraken series is quieter and capable of displacing more liquid which achieves superior cooling with efficiency while keeping acoustics to a minimum. The pump is connected with a premium rubber tubing covered in a nylon sleeve for added protection. KEY INFORMATION READILY AVAILABLE CAM is easy-to-use and comprehensive, providing you the essential data you need to keep your PC running optimally. Think of CAM as your PC's best friend, created by NZXT for PC enthusiasts and gamers. CAM has now consolidated functions such as keeping track of key component’s temperatures, overclocking GPU’S and displaying FPS in games into one easy-to-use utility for beginners and advanced users alike. LONG DURABILITY AND SILENCE WITH EXTREME COOLING Engineered to maximize the cooling potential of radiators! The Aer P Fan features a chamfered intake and exhaust for high-performance airflow and winglet-designed blades to improve drag efficiency. The Aer P uses fluid dynamic bearing to provide silent operations, long-term durability, and achieves powerful cooling performance. MULTIPLE RGB CONFIGURATIONS AND EFFECTS Advanced lighting modes that work with Individually addressable RGB and an infinite mirror design give you a fully dynamic lighting experience. Customize the pump with the most advanced lighting effects. The Kraken Series includes numerous customizable pre-sets and reactive modes to respond to changes in system conditions, such as temperatures and audio output. TOUGH DURABLE SLEEVES AND INDUSTRY LEADING 6 YEAR WARRANTY Fine nylon sleeves are added to strengthen the rubber tubing. The NZXT X72 has fine nylon sleeves that are added to help strengthen the rubber tubing so that as an added protective layer, it shields your Kraken cooler tubes from potential damage during handling. You can be guaranteed long lasting durability as NZXT have included an Industry Leading 6 Year Warranty. NZXT Kraken X72, 360mm All-In-One CPU Hydro Cooler with RGB Lighting, CAM Control, 3x120mm PWM Fan, for Intel/AMD CPUs is rated 2.0 out of 5 by 1. Rated 2 out of 5 by Sniffmyface from Excellent hardware, terrible data mining software... The cooler it's self is very good. Seems well made, sturdy, and is easy enough to install. The cooling it offers also seems very good, keeping my I7 9700K at about 20 C idle and 50 C under extreme load. The problem (and it is a big problem) is the software that controls it. It's called CAM and it is absolutely terrible. Not only does it require you to sign up with NZXT before you can even properly use it, it also constantly sends data back to NZXT. If you block it using a firewall, the software doesn't work! God knows what data they are mining, but looking on forums some people have seen it upload hundreds of megabytes in a day. Additionally, the software is very poorly written, clunky, prone to crashes and login failures and can be a resource hog. It can also override other monitoring/control programs. Finally, i had to disable the hdd monitoring "feature" of the software as it was causing my hdds to constantly try and park/seek, making a horrible clunking noise every few seconds. 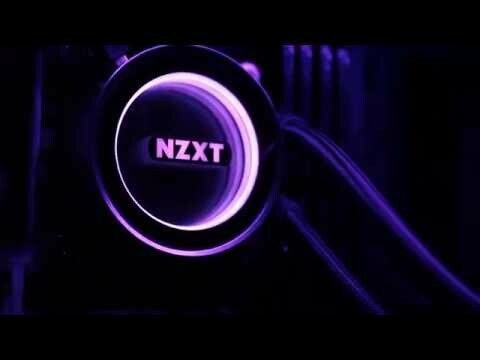 In short, i would never buy anything from NZXT again after this experience, and having read the many forums on this i don't think i am alone!